The decision to hire an attorney in Lebanon, Missouri may seem like a daunting one, but it does not have to be as overwhelming as you might originally assume. Your attorney should be your guide to help you ease the stress of whatever situation you may be facing, so your main goal will be to find a lawyer who lives up to that ideal. 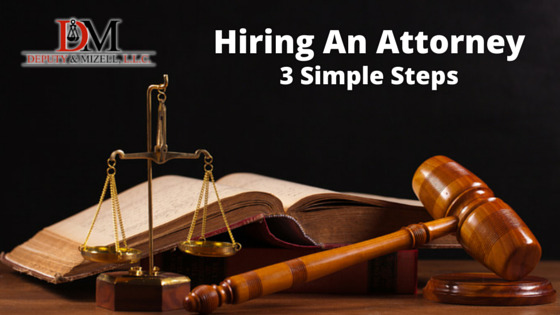 By identifying three specific overriding factors, you will be able to find the right attorney quickly and easily. Your choice of attorney will depend greatly on your specific legal needs at any given time. If you are preparing to get a divorce, for example, hiring an attorney who focuses solely on business law will obviously not the best choice. There are many, many different legal disciplines, and each comes with its own set of intricacies and complexities. You can set yourself up for success by determining which legal field covers your specific issue and hiring a lawyer who specializes in that area. It is important to be upfront and forthright about cost when making arrangements with an attorney at the Lake of the Ozarks. If you have any budget constraints, make sure they are known before you enter into a contract. Some lawyers charge for their time, others charge for their services, and others charge for their results. There is no right or wrong way to handle the financial aspect of hiring an attorney, but it is important to make sure all expectations and obligations are clearly stated before signing a contractual agreement. No matter what legal challenge you may be facing, your attorney will be your guide, your advocate, and your defense throughout the entire process. Many legal situations require a great deal of confidentiality, so it is imperative that you find an attorney you like and trust. While you will be working together for professional reasons, both you and your attorney are human beings, too – finding a lawyer you feel comfortable with is absolutely critical to the success of your case. The law firm of Deputy & Mizell, LLC is owned and operated by young, experienced attorneys who have the skills you need to succeed. With three offices conveniently located in Lebanon, Camdenton, and Tuscumbia, we are equipped to serve clients all across central Missouri. We have attorneys who specialize in personal injury law, family law, business law, criminal defense in mid-Missouri, and more – give us a call to learn more about how we can successfully represent you!